NUKU'ALOFA, Tonga (AP) -- Tongan officials said Monday that 300 to 400 families had their homes severely damaged or destroyed in a powerful storm but they are relieved the death toll hasn't risen beyond one. 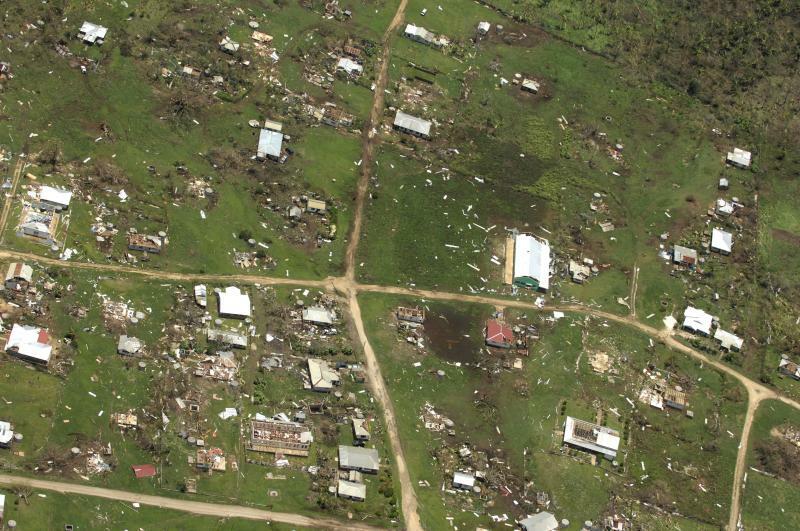 Director of Emergencies Leveni Aho said it's "almost unbelievable" there weren't more fatalities given the devastation caused by Cyclone Ian, which pummeled the South Pacific archipelago with gusts up to 287 kilometers (178 miles) per hour on Saturday. Worst hit was the Ha'apai island group, home to 8,000 people. News site Matangi Tonga reported that Kalolaine Paongo, 51, was killed on the island of Lifuka after she was cut on the leg by a piece of roofing iron during the cyclone and later died in a hospital. Aho said several people suffered moderate injuries but none were life threatening. Aho said the cyclone's destructive path was unusually narrow and did not create major flooding, which helped limit the damage. He said relief supplies have begun arriving but he remains concerned that fresh water supplies are dwindling, in part because many people rely on roof rainwater catchment systems that were destroyed in the storm. He said that one of the two main cellphone operators restored service Monday, which has vastly improved communications. Residents remain without power, he said, but he hopes power will be restored to some places in the coming days. He said there was severe damage to the control tower at Ha'apai airport but that some flights carrying relief supplies have been able to land. New Zealand's government has pledged 50,000 New Zealand dollars ($41,000) toward relief efforts and several aid agencies have deployed to the region.